There’s no time like the summertime to start tackling some items on that home maintenance checklist. There are all sorts of little things you can do to spruce up your home, both inside and out, while the weather is warm. Here’s a quick list of 15 summer home maintenance tips and projects you can do to spruce up your home and keep it clean throughout the year. This is a quick outdoor home maintenance tip that will give a boost to your home’s exterior appearance. Now that it’s warm enough to work outside, you can finally touch-up the paint on the outside of your home. If you can’t remember the exact color of your home, you can ask a paint professional at your local paint store to come out and help you find the perfect match. This can be a simple weekend summer home maintenance project to get you started on that home maintenance checklist. Summer is the perfect time of year to wash your windows from the outside. This is one of those things that doesn’t get done very often, so you may need to use a little elbow grease to get your windows squeaky clean. Simply fill a bucket with hot soapy water and get scrubbing. If you wash your windows more than once a year, you may be able to get away with just using Windex, but a bucket of soapy water and a sponge will usually deliver the best results. Washing your exterior windows won’t make much of a difference, if you don’t also wash your window screens. Take off all your window screens to your house and gently scrub them with hot soapy water. If your window screens are too filthy to be cleaned, you may just want to replace them. It’s a good idea to reverse the direction of your ceiling fan during the summer so that it spins counter-clockwise. This pushes the air straight down, creating a nice breeze. To do so, shut off the fan and wait for the blades to come to a complete stop. Once everything is still, use a ladder or step stool to locate the direction switch, this will probably be on the side of the fan above the blades. Flip the switch in the opposite direction and then turn the fan back on. This summer home maintenance tip is essential to keeping cool. Every air conditioner has a filter that should be cleaned out every two weeks, especially if it is running at an all-time high. You can clean the filter of dust by washing with warm water or using a vacuum cleaner. If your air conditioner is newer, it may have a self-cleaning function. The filter is not the only part of your A/C unit that needs attention. The fan needs to be cleaned of dust as well. To remove the fan in your air conditioner, you must first turn off the unit. Next, remove the frame of the air conditioner, this should come off fairly easily once you’ve located the mounting points. Now take out the fan motor, it should be located right behind the fins inside the unit. You may need some tools to remove the bolts and wires holding down the fan but it shouldn’t be too difficult to remove. Once removed, check the fan, clean it off and then replace it the same way you took it off. Getting tired of dust? We haven’t even scratched the surface. Your furnace has a filter and, just like your A/C unit, it needs to be cleaned. All you have to do is turn off power to the furnace and then locate the filter behind the service door. You may need to unscrew a panel or two. Remove the filter and give it a wash it if it is a reusable one. If the filter has a cardboard frame, you will need to replace it instead of washing it. Your washing machine is one of those appliances that needs some light maintenance every now and then. When your washer is not in use, inspect the seal between the door opening and the drum for areas of soil buildup or any stains. If you find any, you can clean it with a mixture of ¾ cup of chlorine bleach and a gallon of warm water. Wipe the area with the bleach/water solution and then let it sit for about 5 minutes. Now, wipe dry with a clean cloth, and let it air dry. This will remove any odors and keep your clothes from getting stained by dirt deposits inside the seal. Another great summer home maintenance tip is to thoroughly clean your walkways and driveway. The key to cleaning a patio, driveway and walkway is to use a pressure washer. Before you get out your pressure washer however, it is a good idea to check these areas for cracks and weeds. Once you have inspected everything, get out that pressure washer and wash away everything that has been sitting on there for the past year. Have Travertine? Think no maintenance is necessary? Every once in a while high traffic areas need to be cleaned on your travertine pavers. We at, Hello I Live Here, make our travertine part of our beginning summer cleaning program. High traffic areas and travertine near trees should be cleaned to keep the travertine beautiful. We use DuPont™ StoneTech® Professional Stone & Tile Cleaners. We simply follow the products directions, apply with a mop. If it’s a bad area, we use a more concentrated mixture. It’s not necessary to seal your travertine, but keeping high-traffic areas clean helps keep its beauty. Remember be responsible by reading bottle directions for proper disposal of empty containers and rules for dumping in your state. Linda Crandall, Hello I Live Here Blog. Baseboards are often overlooked when it comes to cleaning. It can be tough to muster up the energy to get on your hands and knees and clean the trim, but it is something you want to do at least once a year to keep dust and dirt from building up. A damp cloth and a little patience is all you need to clean up the trim around your home. This home maintenance tip isn’t necessarily just a summer chore. But it is important to clean out your garbage disposal and dishwasher every once in a while. You can easily clean out your garbage disposal by flushing it with hot water and some dish soap. To clean your dishwasher, you should add 2 cups of vinegar to the bottom of the machine and run the machine on low wash. You can also make your own garbage disposal refreshers. Inspect the hoses to your washer, dehumidifier, dishwasher, icemaker, toilets and refrigerator for any signs of leaks, cracking or wear and tear. You should replace these hoses once every 3-5 years, but it is important to regularly check for any signs of leaking. Attics can be claustrophobia-inducing, but you do have to brave those tight confines at least once a year. You want to check your attic for any indication of pests or insects, water leakage, mold or mildew, and turn off the lights to check for any sign of peeking daylight. You will also want to check your basement for any indication of pests or insects, water leakage, mold and mildew, as well. 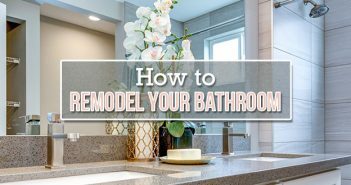 Considering a bathroom remodel this summer? Be sure to rent a dumpster for all the drywall, tiling and other leftover debris. How big of a dumpster? 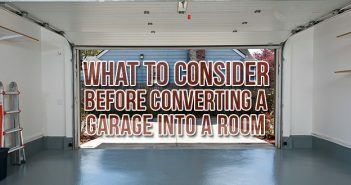 Rob Robillard of “A Concord Carpenter” recommends using a 15 or 20 yard dumpster for an average-sized bathroom remodel and emphasizes having a plan in place to manage your remodeling debris. “You need to think about trash, you need to think about a dumpster: where you are going to put the dumpster. How are you going to get the trash from the bathroom into the dumpster?” If the dumpster is close enough to the house, you can set up a trash chute outside of a window that runs directly into the container. If the dumpster is near or on the street, you can use barrels to carry the trash out to the dumpster instead. Have any other maintenance projects on your home maintenance checklist? Let us know in the comments below. Feel like tackling your own DIY project this summer? 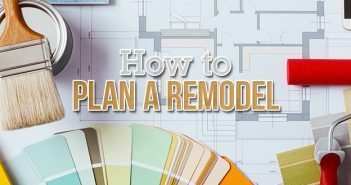 Check out our “exceedingly comprehensive” DIY home improvement guide for some DIY remodeling tips and more. Thanks for sharing this wonderful article, thanks for sharing.